Like any other area or room within your house, your garage also needs repair and maintenance. Once an important part of your garage door system wears down, it begins to give a variety of problems. Since the ultimate consequence is reduced level of security, your car and other stuff that is stored become more susceptible to theft and damage done by natural factors! So, if you want to increase the lifespan of your garage door, make sure your garage door professional is experienced and capable of immediately spotting the problem area. Just dial (201) 628-0104 and have our experts come over to inspect the door and provide reliable solutions to fix it up. Most major locations including Haworth have an array of garage door service providers. But if you are looking for quality, reliable and affordable services, you’ll have to carry out a little research in your locality. ASAP Garage Door Repair is a leading garage door repair company in Haworth (07641), NJ. 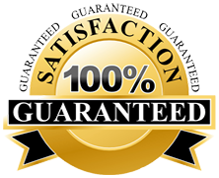 The credit for the reputation and level of popularity that we enjoy goes to a team of selected technicians who are always happy to take and accomplish varied garage door repair projects! Which Garage Door Services to choose in Haworth? Garage door part replacement and installation, including opener, springs, tracks, panels etc. Our ultimate goal is to meet all your garage door repair needs within your set budget and time limit! For any other queries, you can also write to us at asapgds@gmail.com. This entry was posted in Haworth on April 15, 2014 by admin.